Team BlogAdda wishes you a very happy and a prosperous new year. Wishing abundance of all good things. While the festive season has just ended, we are aware that the year end is also coming soon. Here is your chance to refresh your blog and start writing, if you haven’t been doing lately. As 2018 goes by, we all keep moving forward, doing new things and opening new doors. While we aren’t sure many times of what’s in store for us, we love to open up and explore newer opportunities. Do you remember any incident or story where you were trying to open a door and what you saw, stuck with you for a long time? Mystery, Sweet Surprise, Shock, Horror, Happiness? 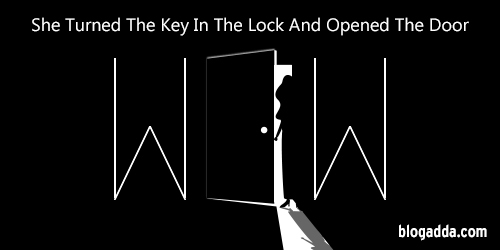 This weekend, we want you to use this line in your post for the WOW prompt, ‘She Turned The Key In The Lock And Opened The Door’. You can use this line as a start to your story or anywhere else in your post. We would love to see how you treat this and what you describe happens after the door is opened. Do share your post by Sunday midnight and win a chance to proudly display the WOW badge on your blog. Wishing a great weekend for you! Add this line in your post, ‘This post is a part of Write Over the Weekend, an initiative for Indian Bloggers by BlogAdda.’ Click on the submit button below and share your WOW entry to be considered valid. Celebrate blogging!